Looking for a hands free party favourite? Use your head! 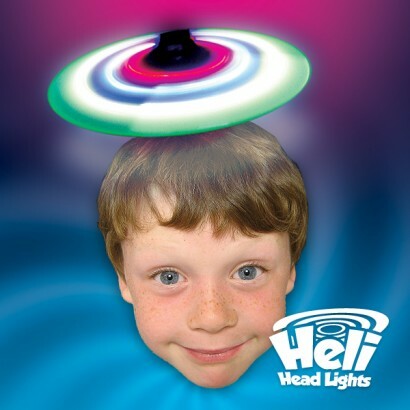 The Heli Head Light features two spinning windmill arms that are packed with super bright red and blue LEDs that light up to create a floating halo of light! 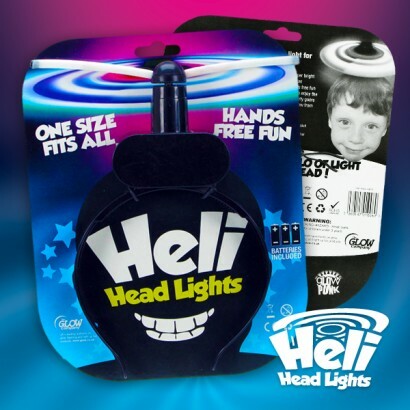 Brilliant for parties and events, these hands free novelties look fantastic in the dark, quite literally as though you've been crowned with a halo leaving your hands free for party fun. Batteries are included and pre-fitted ready to go.